The mystery satellite shot into orbit atop the classified Delta 4 rocket launch from Cape Canaveral last month has been spotted and identified by hobbyist trackers. The United Launch Alliance booster roared away from Complex 37 on March 11 in the Medium+4,2 configuration with a pair of strap-on solid motors. 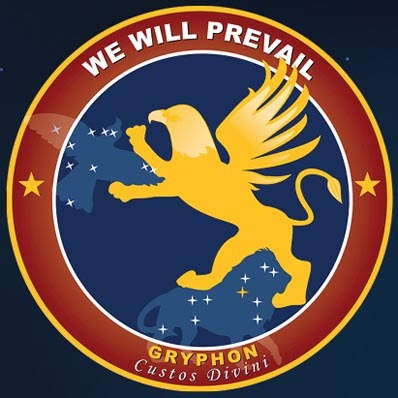 It was a typical ascent that went into a news blackout just minutes after blastoff because of the covert payload being launched for the National Reconnaissance Office. The secretive agency operates the country's fleet of spy satellites. As with all NRO launches these days, real-time information about a rocket's flight ceases when the protective nose cone is jettisoned. 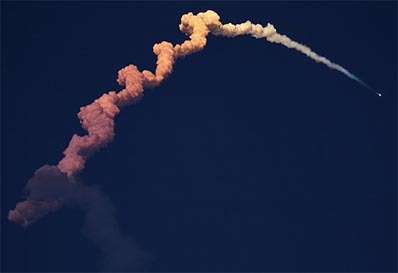 The public must wait until the satellite is seen in space and amateur observers compute the orbit to gain confirmation that the launch was successful. When the Delta left the Florida spaceport, the rocket headed eastward and made it a safe bet that the satellite was targeting an orbital perch 22,300 miles above the planet. A few weeks after launch, the sky-watchers have observed the spacecraft in geosynchronous orbit and determined it is a data relay satellite. The NRO has been sending up so-called Satellite Data System birds for decades to receive transmissions from low-orbiting surveillance craft and route the information back to ground stations. The SDS constellation enables the data to reach analysts much quicker than waiting for the spy satellites themselves to pass over the relatively few number of ground antennas. "The first imagery intelligence satellites took photos on film, which had two drawbacks: the film had to be returned to Earth for processing, often resulting in unacceptable delays in obtaining intelligence; once the film ran out, the satellites became useless. "The KH-11 electro-optical satellites, first launched in 1976, solved these problems by doing away with film, and taking their images electronically, much like modern digital cameras. Transmitting their imagery reduced the time required to obtain intelligence, but since KH-11 operates in low Earth orbit, it is seldom within range of ground stations. One solution would have been to store the data for later transmission, but that would have introduced significant delays. Instead, KH-11 was provided with a set of dedicated relay satellites, called SDS. "At the 40,000 km apogee of their highly elliptical orbits, the SDS provided near-real time delivery of KH-11 imagery, over most of the northern hemisphere. The modern SDS constellation also includes geosynchronous satellites, which provide the same function." It is the modern SDS network that last month's Delta rocket supported by launching a replacement satellite into geosynchronous orbit above the equator. Hobbyists have routinely watched three geosynchronous SDS satellites over the years. The original was launched by the shuttle Atlantis in November 1990. A pair of Atlas 2AS boosters deployed two more in December 2000 and October 2001. "Historically, geosynchronous SDS have been rare in terms of launches, but there has been a trend toward parity over the past two decades," Molczan said. "Approximately seven SDS 1 satellites were launched in the 1970s and 1980s, all of which operated in highly elliptical orbits. They were replaced by the SDS 2 satellites, five of which were launched between 1989 and 1998, including the first to GEO: SDS 2-2, launched on STS-38 in 1990. "The modern SDS constellation consists of four SDS 3 satellites launched between 2000 and 2007, two of which are in highly elliptical orbit, and two in GEO." Now there's a new satellite ready to enter service in support of U.S. national security needs.